Green: Mostly wet. May start as snow but will mix with sleet quickly then change to rain quickly by late afternoon. Purple: 1-2” of snow before changing to sleet which won’t add much to the total; a changeover to all rain by evening. Blue: 2-4”. Snow hangs in a little longer and prolonged sleet may add a layer of accumulation, before a later change to rain by midnight. All areas could end as a brief burst of snow west to east as rain ends late Friday morning. TheAresian wrote: Somebody somewhere is smoking something. Accuweather calling for me to get 3-6, NWS calling for 7 or 8 and the Weather Channel predicting 9-15. 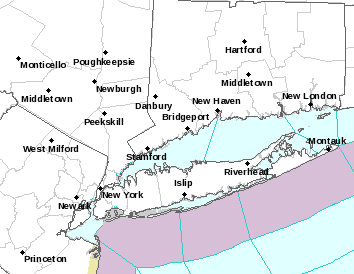 Haha but at least NWS has a WSW out in your area. Weather channel has me getting 1-3 tomorrow afternoon and 5-8 tomorrow night and still nothing from NWS Albany. They NWS has dropped their 7 or 8" of snow down to 6 and replaced it with .10" ice. Weather Channel dropped their total down to match yours. This storm is getting messy. Wonder if that wind advisory for nj will be expanded north I wouldn't see why winds wouldn't meet same criteria all way up coast. Wind spells trouble even with a little snow we still have many trees with leaves though some are done or near others are quite full. Again like I said a few days ago, this is an article air mass of dense cold air that HP means business for this time of year and models trend colder and radar depicting this southern tier. Don't go against CAD peeps. 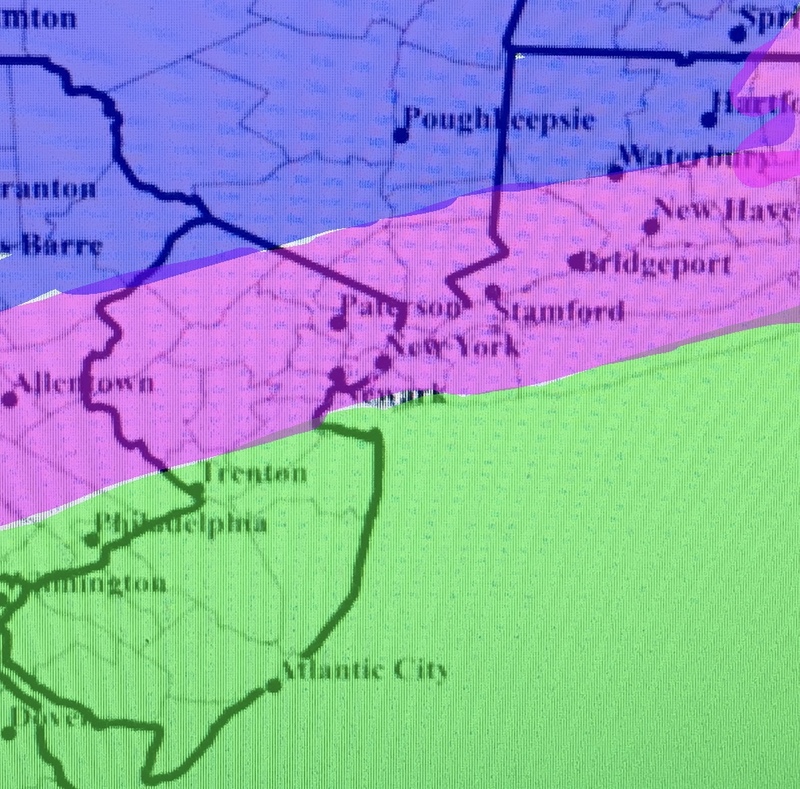 The mid layers may warm up to the NJ/ NY border but it is ice issues of up to .10 to .20 of ice. There maybe a wrap around snow burst for a few hours Friday morning as the storm wraps up pulling away. Ukie, Euro, Rgem, Hrds, Gfs Paradise all in dame came , old Gfs doing what it does best. I'm going to wear out my mouse going from one model run to the other. It feels like an early Xmas gift is coming. I feel bad for some of you guys. 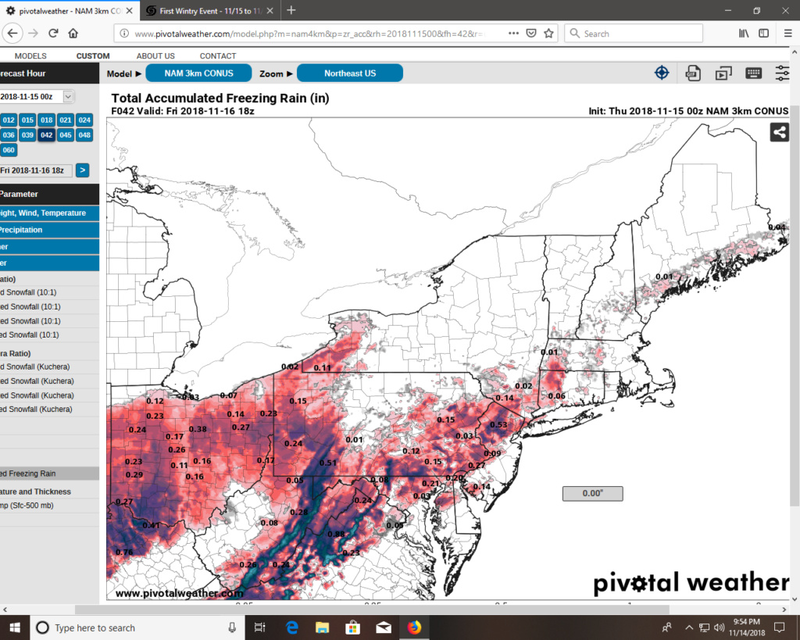 Check out the freezing rain total. Yuck. this is definitely a southern board. everything is quiet when the storm is north and west. im surprised the potential this early in year doesnt have everyone excited. I am excited but I am a novice with limited knowledge about the mechanics. It is watch, listen, learn for me. 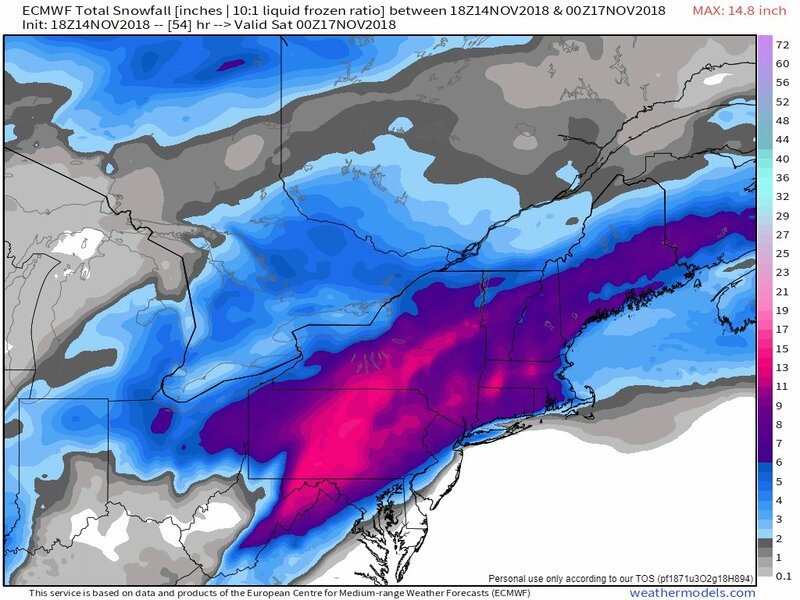 Same here in Monroe NY HV with the NWS forecast.Anywhere from 3 1/2 to 7 1/2 inches.LOL, talk about hedging.It will be nice to see snow on the ground this early in the season anyway!